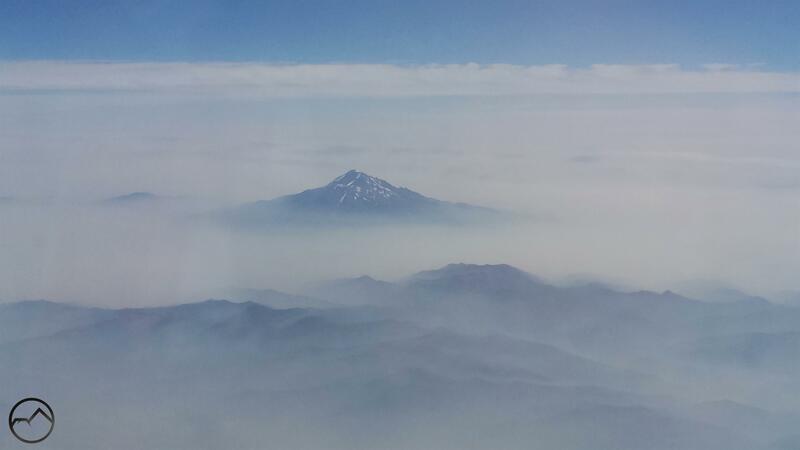 Thick smoke surrounds Mount Shasta but gets thinner as one moves west (bottom of image). Before I write anything else, I want to preface by saying that, at this point, the smoke is so pervasive that it can really show up anywhere. I am not an expert on these matters and I am only offering a suggestion based on empirical observation. I really don’t want anyone to head off and expect clear skies only for them to be smoky. That admonition being made, I wanted to point out something I have noticed occurring consistently since the beginning of August. While the smoke in Mount Shasta has been the worst it has been in the 11 years I have lived here, I have observed that the smoke tends to blow northeast from the Carr Fire, flooding into the area and filling the valleys that lie around the foot of Mount Shasta. However, I first noticed on August 2nd, as I flew from Medford to San Francisco, that the Trinity Alps were surprisingly clear of smoke. There was a slight haze over them but, for the most part, they were remarkably free of the thick pall that hung over the Mount Shasta area. In truth, the clear air extended from the Russian Wilderness, just north of the Trinity Alps, all the way down to San Francisco. It seemed as though the air currents pushing in from the coast moved the smoke inland on a regular basis. 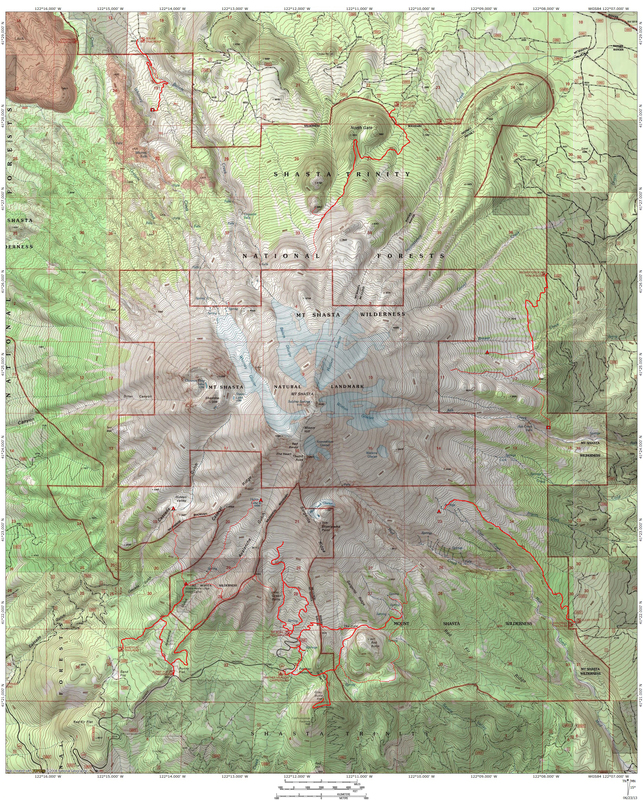 Gibson Peak and Stonewall Pass areas. Though the Trinity Alps were immediately adjacent to this area, they were pretty smoke free due to their westerly position. On this image, note the small white crescent immediately above and left of the Carr Fire. That is the granite block that forms Canyon Creek. Note how it and the mountains immediately east (the “Red Trinities”) don’t have much haze over them. Image from August 7th. 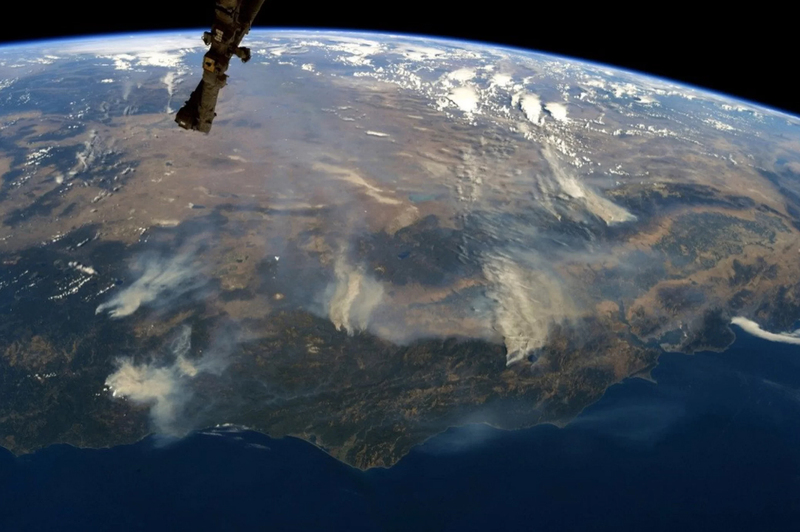 This image shows both the Mendocino Fire and the Carr Fire on the left side. While there is a little haze immediately northwest of the Carr Fire, it has noticeably better air quality than the Mount Shasta area. Image from August 3rd. Here the Carr Fire is near the center. Mount Shasta is also visible. While it is clearer around the mountain, it is still obviously hazy. 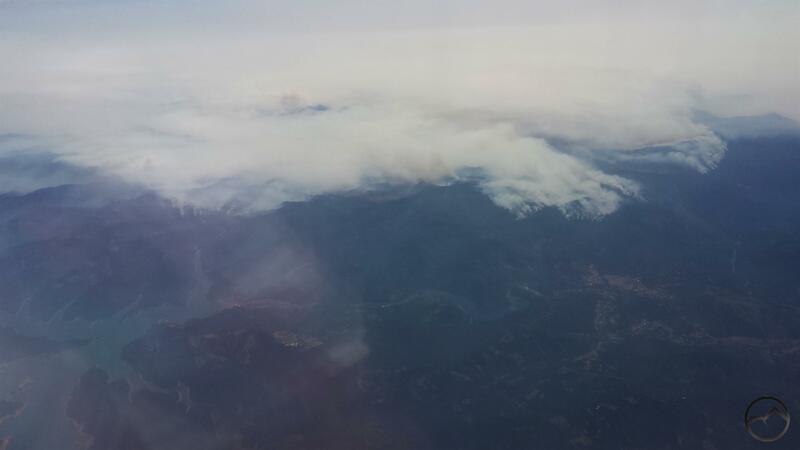 Also note the two fire burning in southern Oregon. 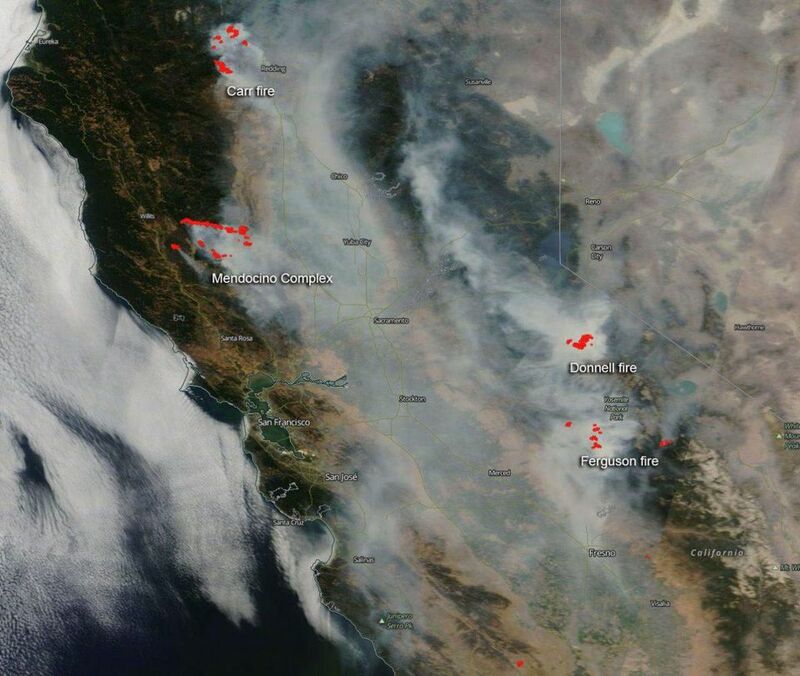 Their smoke seems to trend to the southeast, still missing the Trinity Alps. Image from August 6th. 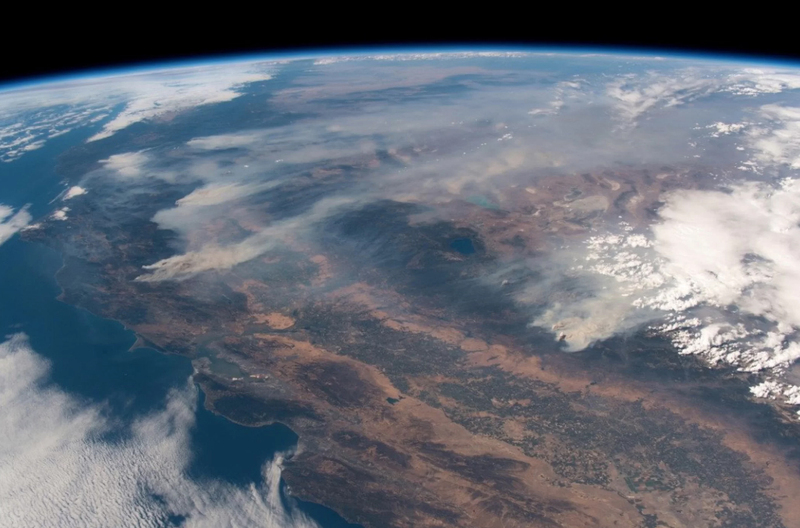 Unfortunately, as this time lapse shows, the smoke does, at times penetrate into the Trinity Alps region. However, while the smoke is present, it is still thinner than the thick clouds of smoke that seem to have coalesced around Mount Shasta. To those “taking my advice”, consider this image from August 8th fair warning that nowhere is totally impervious to the smoke. So, if one accepts that there is a reasonable chance of enjoying the Trinity Alps with good air quality, the question then remains where to go? Most of the Trinity Alps is a backpacker’s wilderness. Fortunately for those of us here in Mount Shasta, the northeast corner of the range has the highest concentration of good dayhikes. An additional bonus is that a number of these shorter hikes are reasonably graded and not excessively steep like many of the trails that make the Trinity Alps notorious. Perhaps as a little encouragement, here is a gallery of images from all the aforementioned trails. If you head out to the Trinity Alps, good luck and clear skies!